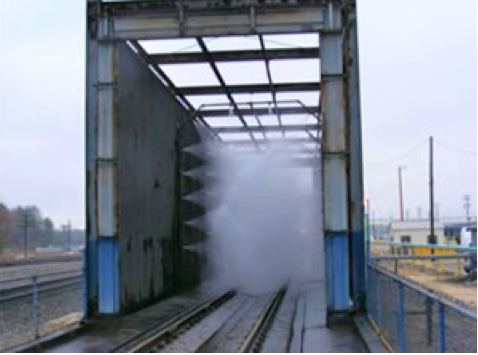 Our arch locomotive wash systems are very robust with high efficiency pumping systems, stainless steel control panels, galvanized arch piping, and stainless steel nozzles. It can be designed with multiple arch systems for wetting, washing, and rinsing. For our three-arch system, the train passes through an initial wetting arch with a dilute soap mixture at a very slow speed. The train then moves through the wash arch, which sprays wash water with soap around the full circumference of the locomotive as it passes. At the exit end, the locomotive passes through the rinse arch, which sprays rinse water around the full circumference of the locomotive. 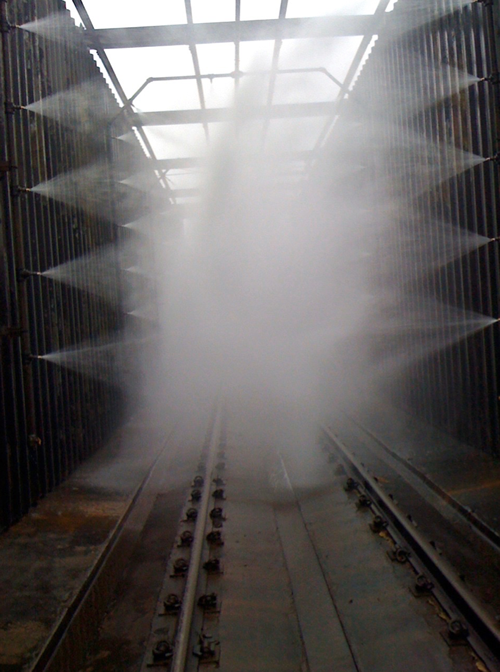 Nozzles in the arches are sized to provide more intense cleaning on the undercarriage and front while minimizing intense water intrusion on more sensitive areas of the locomotive. Depending on the application, total wetting, wash and rinse duration can run between 2-10 minutes. These locomotive wash systems can be designed for manual or automatic operation. For a manual system, an onsite operator turns on and off the pump stations for the arches as the locomotive passes. For an automated system, industrial infrared photocell systems are installed at the entry and exit of the wash building or arches to monitor train movement. The automated control system initiates the wetting, wash and rinse processes and automatically cycles the pumps as needed. 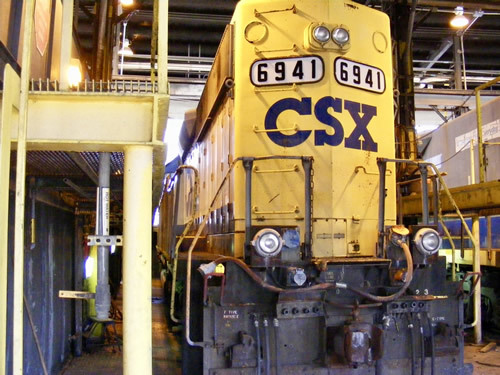 Additional controllers are available that would enable the wash process to start only for those locomotives that desired to be washed, while permitting other trains to traverse the building without starting the wash cycle. 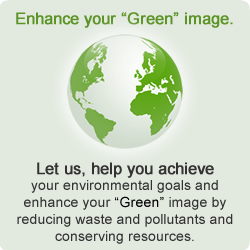 Following the washing, the wash water can be treated for discharge to the sewer or reclaimed for re-use.